Take your kitchen to the next level with the PL-8205 Single Bowl Undermount Stainless Steel Kitchen Sink. This single bowl kitchen sink is compact and convenient. Finished with satin and made with stainless steel, this sink will last for years to come. Save more on this affordable kitchen sink for sale with Fiberpol. You don’t have to break the bank to enhance your kitchen with Fiberpol. We have the best sinks for sale in all of Barbados, and this single bowl kitchen sink is no exception. 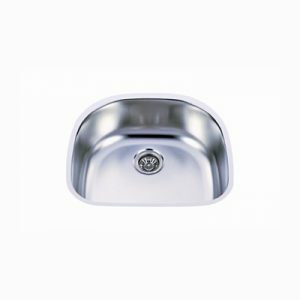 This sink is made from 304 Grade stainless steel, and it comes equipped with a beautiful satin finish. Small enough to be unobtrusive, but big enough for cooking and cleaning, this kitchen sink is the perfect size for any home.